Will Vaizey end B4RN’s wait for broadband money? 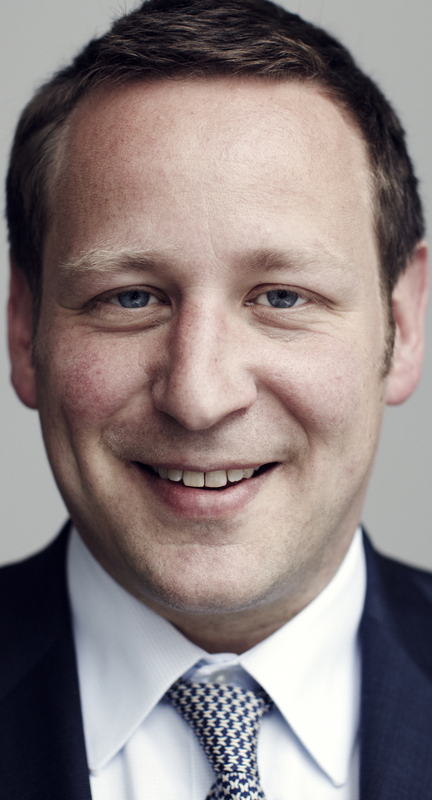 Vaizey – time to take the wait off? Communications minister Ed Vaizey is expected to sign off at least one application for funds from the £20m Rural Community Broadband Fund (RCBF) on Tuesday. The application is from B4RN, the high profile DIY fibre to the home network in rural Lancashire. B4RN applied months ago for £875,000 from the RCBF, and is also negotiating a bank loan. B4RN’s application, and up to 50 others, have been delayed while local councils try to establish where BT intends to roll out its next generation access to broadband and what access speeds and reliability it promises. 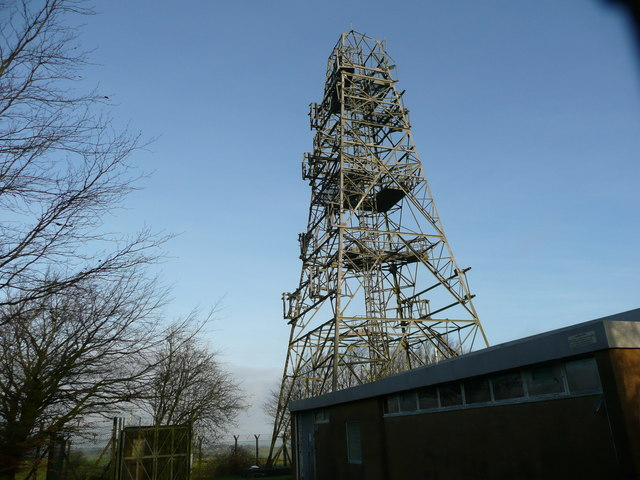 Early reports suggested BT intends to duplicate two-thirds of B4RN’s coverage in one of the remotest parts of Lancashire. The government has said the speed and coverage template details (SCT) in BT’s NGA contracts are commercially confidential, but it expects local councils to publish them once the BT roll-out is under way. However, B4RN had a prior agreement with Lancashire County Council (LCC) for the county to exclude B4RN’s coverage area from BT’s plan. This meant B4RN’s application should have been gone through without reference to BT’s roll-out. “The hold-up was down to LCC refusing to confirm (to the RCBF) they were not planning on funding BT from the main pot (of state aid) in the same postcodes, this despite our agreement,” B4RN CEO Barry Forde told Br0kenTeleph0n3. Forde said LCC had asked B4RN to drop a complaint with the European Commission against LCC’s use of state aid to help BT overbuild a pre-existing privately funded network, namely B4RN. He agreed to drop the complaint only after LCC promised to give B4RN’s postcodes ‘immunity’ from state-aided competition from BT. Forde published B4RN’s latest postcodes as recently as April. LCC did not immediately respond to a request for comment. If it does, we will update the story. B4RN’s complaint is essentially the same one BT and Virgin Media used to scupper the government’s Superconnected Cities initial £150m plan to see 100Mbps fibre to the premises networks built in the UK’s 22 largest cities. This prompted the extremely well-connected blogger Philip Virgo to suggest that the two carriers be referred to the competition authorities for anti-competitive behaviour. LCC does a lot of business with BT. Three years ago it handed BT the management of the Cumbria and Lancashire Education Network (CLEO) schools network, which Forde designed, and later signed a £40m contract for its county public service network with the telco. In 2011 it entered a £400m, 10-year joint venture, One Connect, with BT to provide back office services, a deal whose transparency an MP has questioned. BT now stands to scoop £130m from the Lancashire NGA roll-out. Barry Forde has been in touch to say that the amount B4RN is currently seeking is £875,000, not £750,000, due to a bigger coverage area, and that I should be referring to the Lancashire, rather than Lancaster, County Council. Points noted; changes made above. Culture secretary Maria Miller may be calling for a shake-up at BDUK, the agency tasked with delivering high speed broadband to the “Final Third”, but she might do better going to Kent to beat the bushes for the Ultrafast Underriver project. Underriver is hoping to contract Gigaclear to provide a 1Gbps fibre to the home (FTTH) service to homes in its area. They are unlikely to get >2Mbps via BT ever, despite almost £20m of taxpayers’ money going to the telco. After first pitching the idea in the depths of winter, and getting a resounding “Yes, I’m interested” response, the organisers are now doing the hard graft of signing up customers. Gigaclear won’t move until it has 190 firm customers, and the organisers are 60% there. Mike Clyne, who is leading the project, says progress so far is normal, but he is looking to push so that the diggers can move in. He faces two main problems: ignorance and apathy. To reduce ignorance levels the organisers have sent out FAQs and their answers. So why are some people being shy? “Anecdotal evidence seems to primarily fall into two categories. The first is about cost and the second is ‘do I need more internet speed?’,” he says. Taking the cost issue, Gigaclear is offering 50Mbps symmetrical plus phone line starting at £43/month plus £100 connection fee, and a 1Gbps for £69/month. That’s about 2.4x what TalkTalk is advertising (£18.00/month), but likely 25x what TalkTalk could possibly deliver to these homes. As the speed question, the real question is What’s your time worth? That’s pretty easy to answer. A more subtle question is, What could you do that you can’t do now? That requires imagination and perhaps courage to take advantage of the service and change your life. Britain’s NGA broadband bill – £6.2bn? Tucked away in the appendix to Point Topic’s reassessment of the cost of providing 100% next generation broadband access to Europe is the cost to do it for the UK: £6.186bn (€7.304bn). This is made from €1,157m for urban areas, €1,297m for semi-rural areas, and €4,850m for rural areas. 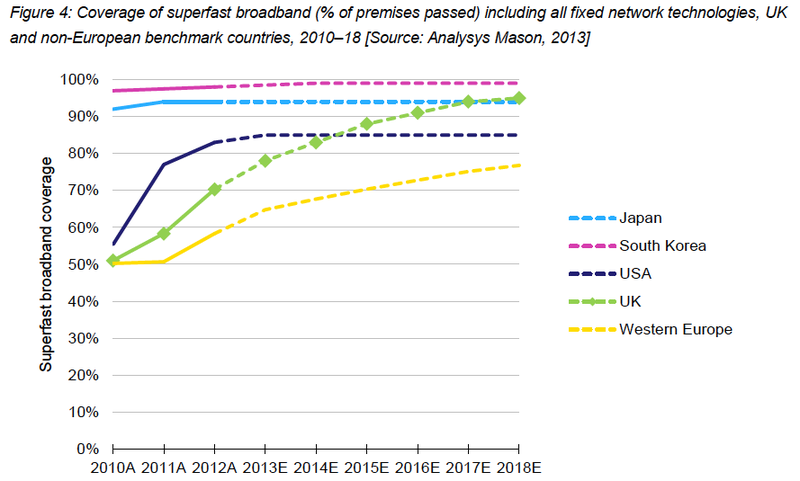 This is a far cry from the £29bn estimated by rival consultancy Analysys Mason for the Broadband Stakeholders Group, which became government and industry dogma for the cost of ‘fibre-ing up the country’. Point Topic’s think-piece estimates €60,000 is the total capex cost (including long-distance backhaul for example) of providing universal 30Mbps downloads via VDSL for a single street cabinet that covers a European urban area of radius 700 metres, approximately 1.6km2 in area. The cabinet is assumed to serve all homes in the area up to 600, ie €100 per home. Less than 100% take-up and other inefficiencies probably push this to €150 per home passed, it says. This rises to €900 in semi-rural areas. The rural areas need a different approach, it says. Point Topic suggests a subsidy of €2,000 per home will do the trick and attract private investment. B4RN, the private FTTH network, expects to connect homes for an average of £1,400. The analyst further suggests the UK has the smallest rural “challenge”, with just 4.6% of rural homes facing above average or high funding needs. Point Topic puts the cost to provide every home in the EU with access to a broadband service that offers 30Mbps downloads at €80bn, less than half the usual estimates of €180bn to €270bn. True, this is not the ‘future-proofed’ fibre to the home (FTTH) B4RN solution, but uses existing copper in the local loop. One suspects that using E-band (>60MHz ‘WiGig’) wireless links instead of copper could also play a role, despite the need for greater beam accuracy and signal attenuation in rain. The Financial Times has come to the belated view that the BDUK procurement of next generation access to broadband is a farce. The trigger appears to have been Fujitsu’s decision not to compete for any of the contracts available under the BDUK procurement framework, a process that has cost taxpayers £10m to create and left BT as the sole supplier. The formal announcement has been a long time coming, but has been anticipated ever since the Cabinet Office effectively blacklisted the company by describing it as a “high risk” supplier of government IT systems. That description did not preclude Fujitsu, with BT the only qualified suppliers under the BDUK framework, from bidding for business.The final straw for Fujitsu appears to be BDUK’s absurd requirements for wireless suppliers of NGA broadband to rural areas. These were published on 18 February in response to the European Commission’s sensible relaxation of the ban on wireless as a means delivering next generation broadband. Much of Fujitsu’s business plan, at least in Cumbria, relied on wireless to get around the need to access BT’s poles and ducts. When this was ruled inadmissible, Fujitsu withdrew, leaving BT as the sole bidder in Cumbria. The commission then rethought the ban and raised it. However, it still appears to believe that fibre to the home is the end game, but it is willing to acknowledge that high speed broadband delivered by cellular technologies such as LTE are the way to go. This is making life hard or impossible for fixed wireless broadband providers. In its guidance to local councils regarding the use of fixed wireless in their coverage plans BDUK asks for service levels that not even fixed line suppliers have to meet. For example, wireless providers must show that their system is capable of providing access speeds in excess of 30Mbps download, with at least ~15Mbps download speed to end-users for 95% of the time during peak times in the target intervention area. Kijoma Broadband, which supplies high speed wireless connectivity in the south of England, says, “There is no such guarantee (on download speed) for FTTC for example. FTTC starts at 15 Mbps sync speed and as previously reported, 5 Mbps orders will be accepted via wholesale providers,” he says. BT has doubled its original offer of 15Mbps download speeds to “up to” 30Mbps. Ofcom this week reported that the average national download speed is 12Mbps, due largely to Virgin Media’s largely urban roll-out of high speed broadband over cable TV channels. FTTC connection (speeds) will be lower in practice due to line length, crosstalk, ISP contention, traffic management policies, and other issues, Lewis adds. Fibre is going into rural homes and businesses, but it is due to community-based efforts such as B4RN and Gigaclear. Both face hostile responses from BT, which has consistently failed to publish precise coverage plans for both its £2.5bn “commercial roll-out” of FTTC to two-thirds of UK homes, and its BDUK-funded roll-outs in “not spots”. As Ewhurst resident Walter Willcox notes elsewhere on the blog, even having a fibred-up street cabinet in your street doesn’t guarantee access to a high speed service because the cabinet’s capacity may already be taken up. This should raise questions regarding the percentage of “homes passed” that can actually be served by the cabinets BT has installed so far. BT has said in the past that it would add more street cabinets if the newly installed ones reach capacity. Ewhurst’s experience is to the contrary.